Thank you for your generous support of our Parish and our community. Your contributions are appreciated more than words can express. We are honored that you have made the choice to support our vibrant Parish community and to preserve our beautiful and historic Church. Your generous donations fund all the worship, religious, educational and service programs of our Parish. Our Lady of Mount Carmel Parish is also blessed by the generous bequests of faithful parishioners and friends. A bequest to the Church or School ensures the future of vital programs, and can also be very helpful to you and your family for tax purposes. As your Pastor, I am committed to accountability and the responsible use of funds. Your contributions are tax deductible, and we are blessed to have a dedicated and capable staff to administer and deliver valuable programs to our community. Please visit me and my staff, I am delighted that you are a member of the Mount Carmel Parish and look forward to working with you. Many thanks and God's blessings on you and your family. 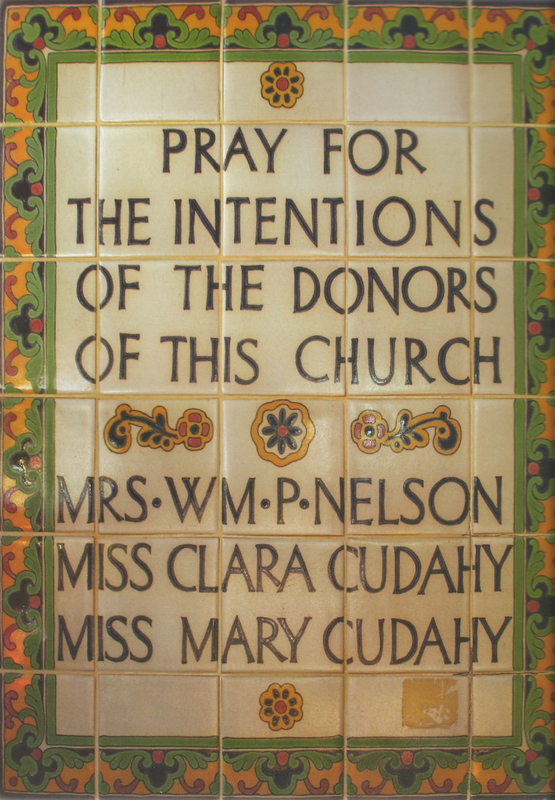 This plaque was created for the Cudahy Family, the original donors to our beautiful church.